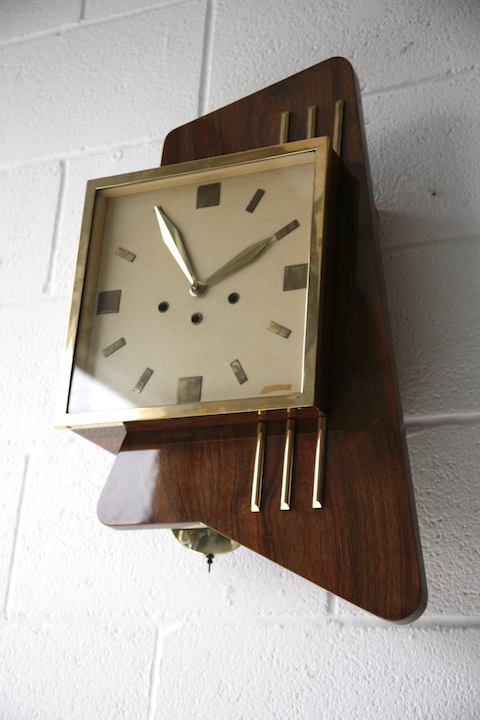 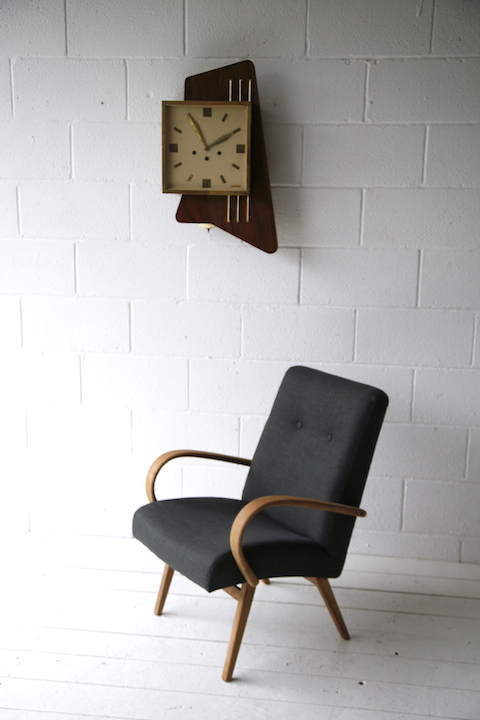 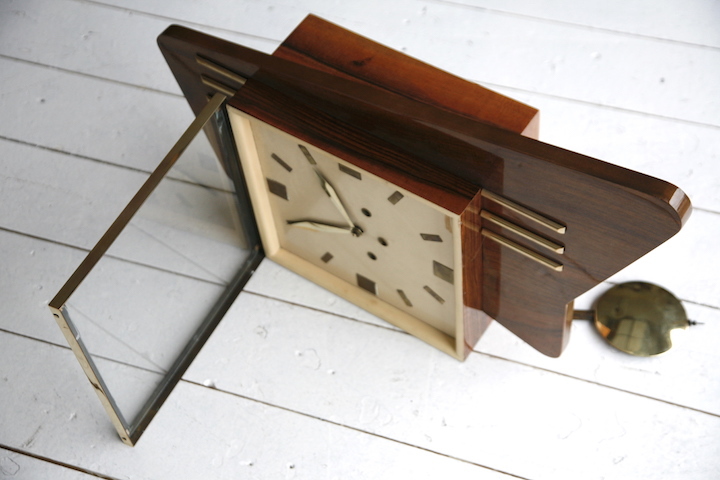 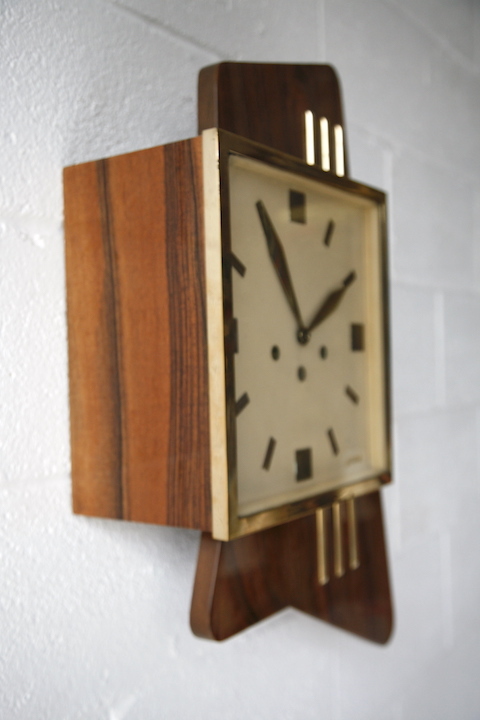 A large rare 1950s rosewood wall clock. 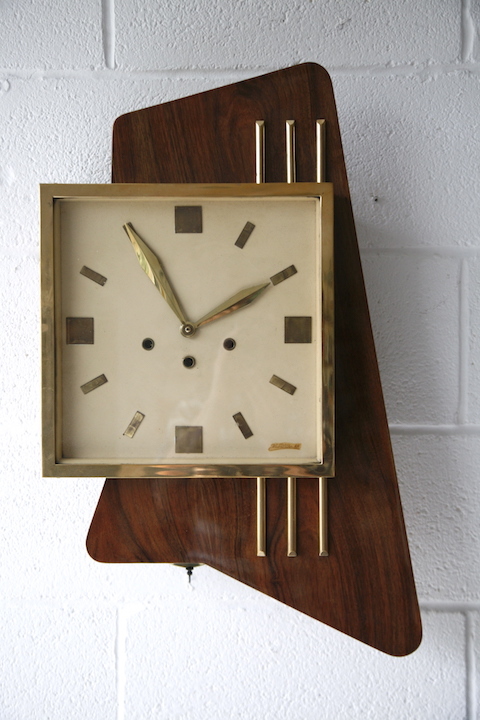 A stunning design in very good vintage condition. 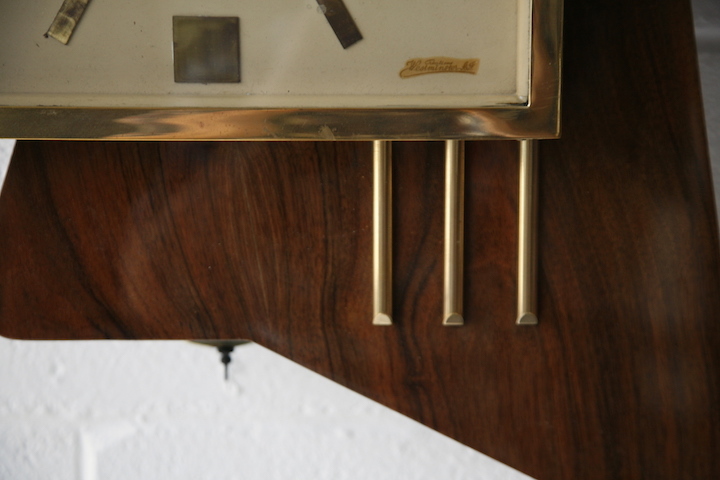 Fully working with original wind up pendulum mechanism.